1 drawing on paper ; image 8.5 x 5.5 in., mat board 9.875 x 8 in. 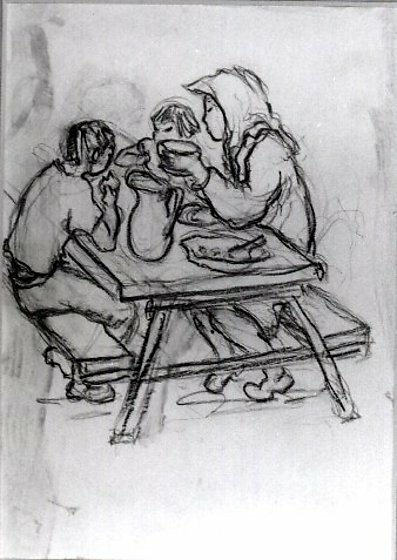 Pencil drawing of woman and two children eating on picnic table. Boy seated on bench left sits across a woman holding a bowl and seated next to another child. Woman's hair is covered by scarf. Pitcher and plates on table.